While Prague's charms will always keep it high on the list of Europe's most loved cities, the Czech Republic (also known as Czechia) is full of other less crowded treasures - with old towns, historic castles, bridges, spires and even old ironworks to discover, as well as vibrant creative scenes adding an element of fun to any visit. 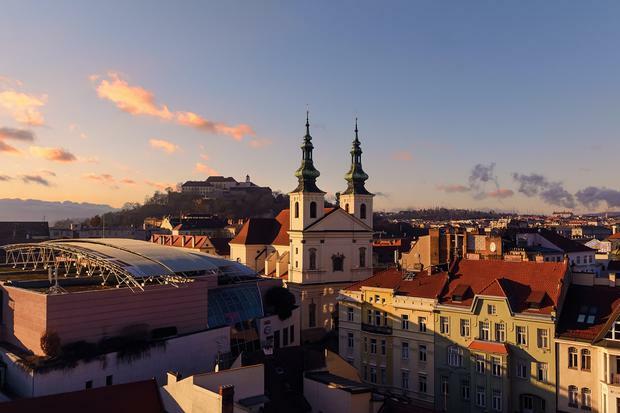 Brno, Ostrava and Olomouc are three great contenders for your next trip... here's why. It's noon and there's a small group gathered at the astronomical clock in the Upper Square in Olomouc. Everyone marvels as the little figures start moving, bells ring and music plays. The ornate clock dates back to the 15th century and it's on the side of the Town Hall, which itself is 640 years old and still in use. Pretty pink, blue and yellow buildings line the square, fountains shimmer in the sun and a couple poses for photos in front of the Trinity Arch. Even though it's high season, it's peaceful and there's plenty of space - unlike when crowds gather at the astronomical clock in Prague. 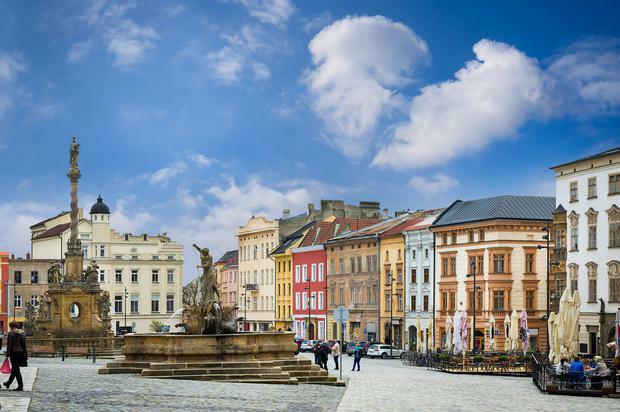 Olomouc, the sixth largest city in the Czech Republic, has the country's largest historical centre after Prague. It's full of Baroque gems but it's not overrun with tourists - there's plenty of space to take in everything, from museums and churches to bars and restaurants. It's also an ideal location to explore the surrounds of Moravia, home to castles, caves and gold mines. Over a couple of days in the city, we climb the tower of St Moritz Church for bird's-eye views, explore the amazing array of art and antiques in the Archdiocesan Museum and visit the 12th century gothic cathedral, St Wenceslas Cathedral, where the organist gives a recital on a magnificent organ with 3,200 pipes. In the evening, we watch in wonder as chefs create culinary marvels like fennel mousse with orange zest, olive crumble and spinach dust, or baked potato, caviar, crème fraiche and foam infused in hay (yes, hay) at Entrée restaurant - voted the best in the Czech Republic in 2018. The chefs, with backwards baseball caps and tattooed arms, look more like they belong in the local skate park, work in an open kitchen, so we get to see them assembling dishes with theatrical flourishes under light fittings which double as plant pots. Just a few days gives a glimpse of a city full of creativity and innovation as well as historical treasures. For a bird's eye view in Ostrava, swap the cathedral towers for the vista from an old blast furnace, the Bolt Tower in the Vitkovice area. This is a former ironworks and the tower - either named after Usain Bolt, who has visited regularly or because it looks like a bolt, depending who you believe - is 78m high with lookout platforms over the entire iron mining complex, which you can tour. 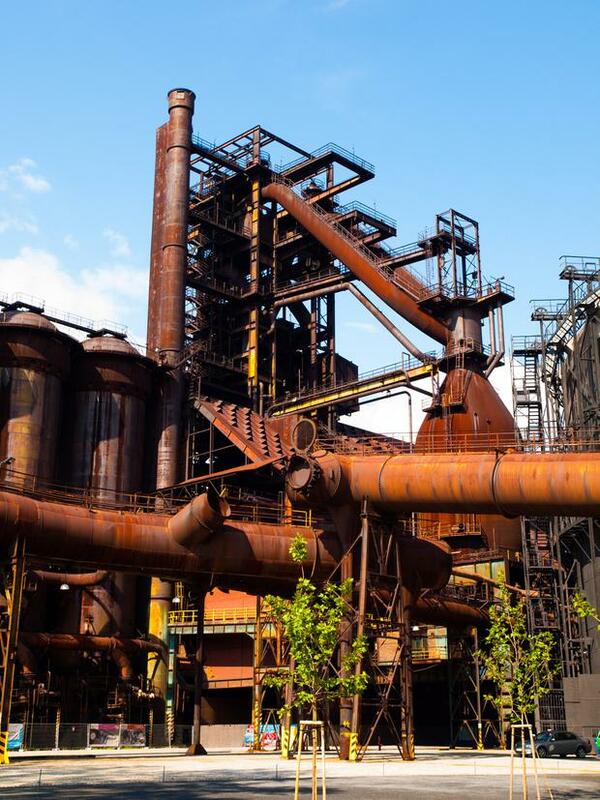 Ostrava is the Czech Republic's third largest city, but unlike Brno and Olomouc, it wears an industrial heritage rather than Baroque fancies on its sleeve, with coal mining and iron production making their mark. You can visit old mines and slag heaps, and there are even statues of miners on the outside of the city's buildings. The small historical city centre has some fun, informal touches. A giant sandbox in the city's main square is home to a volleyball net and surrounded by deckchairs - a mid-city beach. There's a huge piece of city centre street art by American artist Nils Westergard - dubbed the Madonna of Ostravica and a giant sculpture shaped into a pair of sunglasses sits outside the Gallery of Fine Arts. Opposite is U Zravé Mary Irish Pub - it's not Irish, but the bar's character reminded the owners of Irish pubs (old radios and musical instruments give an old-time feel). The city is famous for its café culture too, while Stodolní Street comes alive after dark at weekends with bars and discos. Looking down from the tower of the Old City Hall in the centre of Brno, in the south-east of the country, there's a row of cream-coloured buildings with red roofs. There's a view of Špilberk Castle on the hill and the twin spires of the medieval Cathedral of St Peter and Paul in the other direction. Far below are the red and cream umbrellas in Zelný trh (the 'cabbage market'). In one corner, a tiny purple van has a long queue in front of it. Back at ground level, we discover it's a vegan ice-cream truck, Božský kopeček, with flavours like salted caramel, spicy carrot, raspberry and cardamom. The ice-cream tastes exactly like the real dairy version - and it's so popular, there are vans like it all around the city. Brno is the Czech Republic's second-largest city with a population of 400,000. Around a quarter of this is students and the city is also home to a number of IT start-ups, which all contributes to the relaxed but fun vibe. A free 'Made By Locals' map informs us where and how to party, drink coffee or chill out. The city's pedestrianised streets are calm during the day and alive with chatter from bars and restaurants in the evenings. We discover a secret cocktail bar, Super Panda Circus, with no signs, another one named 'Bar that doesn't exist', and Výčep Na Stojáka - the 'standing-up bar', which has no seats. At Atelier restaurant, where fine dining-style food is served in a relaxed courtyard, a sommelier suggests creative wine and cocktail pairings with dishes. 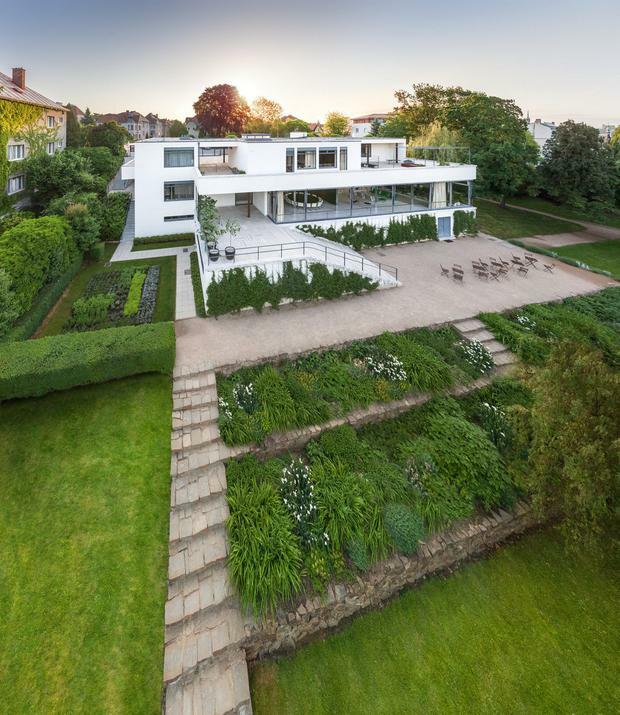 Just outside town, Villa Tugendhat is a three-storey modern house designed by Ludwig Mies van der Rohe. It has steel pillars instead of walls, so there are floor to ceiling glass windows and furniture includes van der Rohe's beloved Barcelona chairs. It was built in 1930 but is so fresh and stylish, it could be new. Rather than trying to be the second Prague, Brno very much has an identity of its own, a playful, good mood vibe that translates into everything from the food and drinks and architecture to the coffee cart that gives out free coffees if you promise to do a good deed. The dress code is casual for the day or smart-casual for evenings and bring shoes suitable for walking on cobbles. Daytime temperatures average around 25°C in summer - pack layers for cooler evenings, however. In winter, it can average 0°C and snow is common, so bring warm clothing. Aer Lingus (aerlingus.com) and Ryanair (ryanair.com) fly direct to Prague. There are three different rail operators and various bus firms running connections between the main cities - see idos.cz for information. Yvonne was a guest of Czech Tourism (czechtourism.com).